Another week and another new baby to one of my friends. Little Mya Amanda was born last Thursday 14th October weighing in at a buxom 4.09kg (a bit over 9 pounds). A little sister for Ellie and Cooper. I was at the quilt shop (doing my course, not just hanging out!) when the text came through so I was ideally placed to pick out the fabrics for Mya's quilt. Mya's mum loves pinks and turquoise and lovely girly things so I've gone with those colours for the quilt. The design will feature 12 log cabin blocks like this one. I've completed nearly all of them, now just to join them together trying very very carefully to match up the seams! 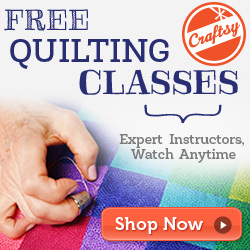 I'm hoping then to try out some of my newly acquired free motion machine quilting skills! Lovely..good luck with your quilting..brave girl. I love the colours that you are using! I really like the fabrics you picked - so cute! love log cabins...but I have yet to successfully complete a blanket doing them! I always mess up some where and or lose steam along the way! good job on your color selection!